The digital era has overthrown traditional hierarchies and created a society with unprecedented access to information and culture. The internet is a platform for creative potential to spring up from the grassroots, bypassing traditional gatekeepers and forms of control. However this new form of empowerment has, inevitably, led to various attempts to re-install traditional hierarchies, and an array of measures have been enacted in recent years to increase government and corporate control over the internet. Alongside these, a range of security and speech laws have been pushed through parliament, justified by the claim that liberties must be given up, or “balanced”, so that politicians can claim to be protecting us. The mass surveillance data retention regime which forces ISPs and phone companies to monitor customers and retain data on internet use and private communications. Essentially the date, time, location, and participants of every digital communication in Australia is intended to be recorded and logged. Every SMS, phone call, voip call, internet session, email etc. Security laws aimed at giving the government and its agencies (spies) access to internet and telecommunication networks, both the traffic flowing over them and their network designs. Amendments to the Broadcast Services Act which compel internet companies to remove content from their servers when directed by authorities, without due process. Expansions to the Commonwealth Classifications Act to enable blocking and banning of increasingly broad and vague categories of content. Extensions on restrictions to free speech. Laws of these types have frequently been poorly worded, vague, and rushed through parliament with minimal or non-existent consultation. They have, without exception, been imposed without any attempt to ascertain the likelihood of the risk they are intended to avert, and with no real measurement of costs and benefits. Fundamental rights deserve to be taken far more seriously, and approaches which undermine them are ultimately highly counter-productive and incredibly hard to reverse. The digital age has empowered citizens on a scale not seen before, and the changing power dynamic makes trust between government and citizens imperative. Repressive, poorly drafted laws not only just chill speech and writing, but undermine the vital trust between citizens and the government. The late Aaron Swartz, January 2012, SOPA/PIPA protest in NYC. CC-BY Maria Jesus. Freedom of speech is vital, being not just a safeguard for each individual’s right to speak, but also protection for every person’s right to hear and be exposed to ideas. The government has no place determining for any individual what ideas are legitimate to hear or read: even ideas regarded as offensive serve a key function in allowing the public to judge parties and persons with the benefit of full and free information. While freedom of speech is simple to codify, attempts to silence ‘offensive’ or ‘insulting’ speech inject a highly subjective standard into the law, since virtually any disagreement may be viewed in those terms. History shows that racism and other offensive ideas lose power most swiftly in the freest societies, where flawed ideas can be aired then exposed to debate, challenge and refutation. Freedom of speech, whether on- or off-line, is the guarantee of every other liberty, and must be upheld without subjective restrictions. Accompanying freedom of speech, we also advocate freedom of thought, conscience and belief, and the right of individuals to free movement and assembly. Online liberty also requires defence of network neutrality principles. 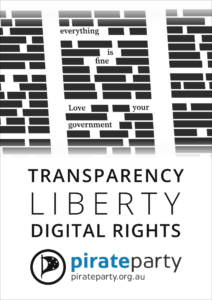 These principles guarantee a free internet for all, and ensures that corporations and gatekeepers cannot block, speed up, or slow down content. We support enshrining these principles in law to protect the internet’s core strengths and freedoms for future generations. Other civil liberties also play a key role in creating a fair and inclusive society. We do not believe that the government should be determining who is granted rights to marriage, especially given the tendency for political parties to abuse such powers. We believe marriage should be overseen within the community, and that the government should do no more than recognise formal unions in civil law between consenting adults for legal purposes. We support the right of adults of sound mind, with appropriate safeguards, to end their lives with dignity and peace if they so wish. Such a stance is not a statement of any kind of the value of life or death, but merely respect for the right of persons to decide on such questions for themselves, in the context of their own circumstances. Restoring trust and balance to the relationship between citizens and the government means guaranteeing every individual the right to think and speak freely and peacefully. 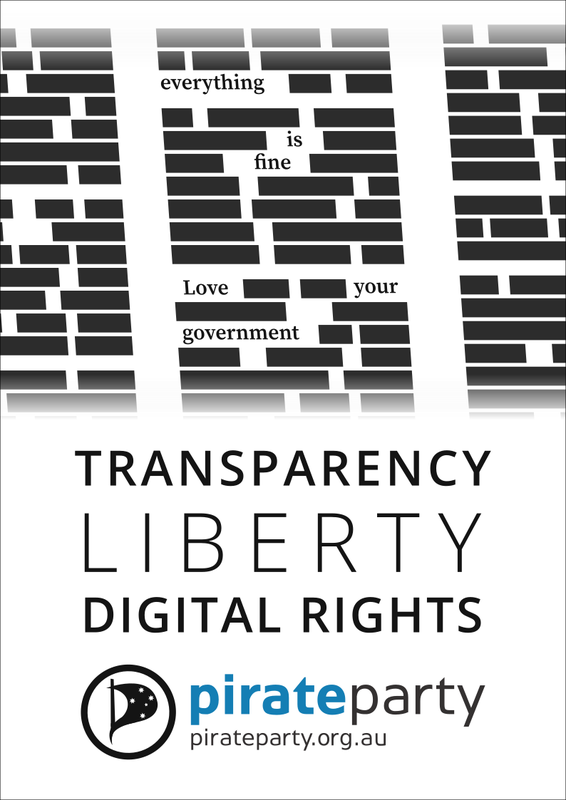 The Pirate Party is proud to place protection of civil and digital liberties at the heart of its political platform. We urge all Australians to push back against restrictive laws and send a message that fundamental liberties are worth defending.